Good: Fun to fool around in, cool physics inspired puzzles. Bad: A bit short, wonky camera in tight spaces. 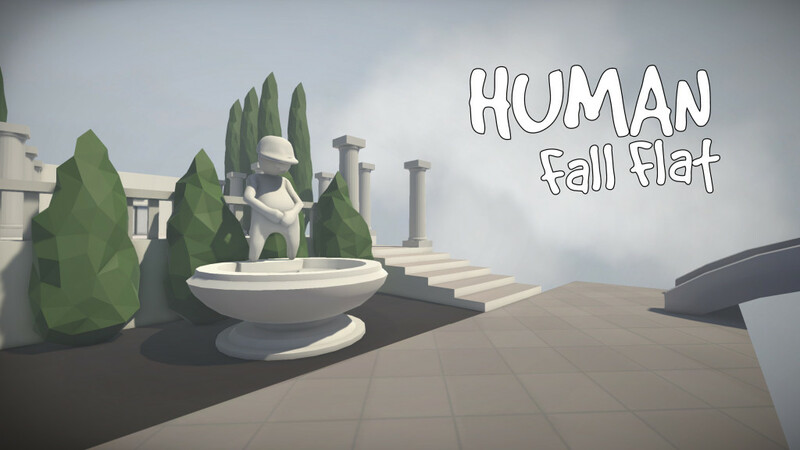 Human: Fall Flat might seem like a weird title for a game but it is actually quite fitting since it’s a game that uses real-life inspired physics. It is also a well-known fact that humans that try to fly just “fall flat”. The funny name for the game peeked our interest from the start and after watching the trailer, we were ready to have some fun with solving puzzles. In the trailer, they also hint at the option to just fool around in their game, which might have been an option that we couldn’t really resist. There isn’t really a story present in Human: Fall Flat. You are a human and have to escape from the weird “dream-like” places that you fall into. As a human, you can’t fly yourself so you just “fall flat”. Which gets proven every level as you fall until you hit the next level when you complete a level. You are quite alone in the world as there are no other “humans” present in the game unless you play together with a friend. The graphics are pretty simple but still pretty. Everything in the game looks extremely smooth and there are no overly detailed textures present. Although everything looks simple, it is all very well designed and every mechanism turns without any textures interfering. Every landscape/level in the game is decorated differently and some have houses or even castles that aren’t completely destroyed but in or around them, are no other “humans” to be found. The human character that you control looks a bit like an advanced stick figure. There is an option to dress it up a little bit but these are also simple clothes. Sometimes when the character goes into a tight spot the camera goes a bit wonky so you could get a bit stuck. This is mostly in spots that you weren’t really supposed to be. 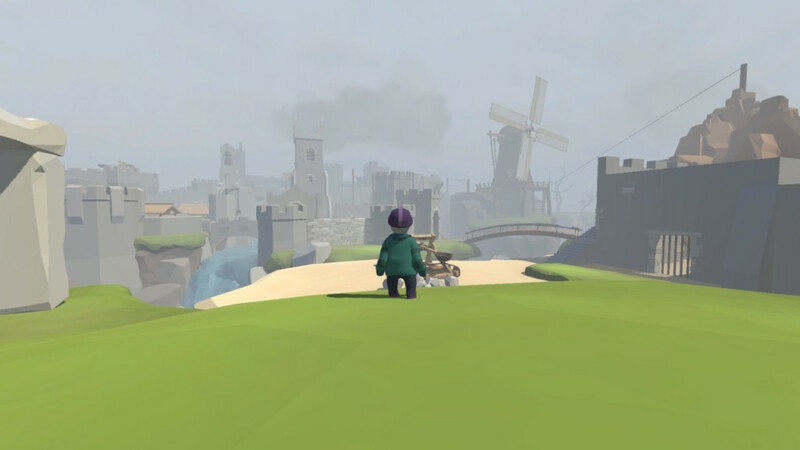 The music in Human: Fall flat is mostly instrumental and simple but this perfectly fits in with the theme of the game. Sometimes there is no music at all but just ambient sounds, like birds and a slight breeze. These sounds are pretty realistic and make you feel like you’re standing or walking somewhere outside in nature. Which is always great for the immersion effect of a game. There is no talking in this game except for the tutorial “boxes”. These boxes show you a tutorial video where a man explains the controls or gives you a hint. This man’s voice is pretty epic for a tutorial video, he did a great job. Human: Fall Flat is an indie, Adventure puzzle game that has a funny aspect to it. You get thrown into these “dream-like” places where you have to solve puzzles to try and escape. You, the player, control a 3D stick figure or more specifically you control where it walks, looks and you also control its arms. The left and right arm are controlled separately by ZL and ZR (on the Switch). You sort of “activate” the arm by pressing the button as you also grab everything by pressing the same button. Moving the arm up and down is done by looking up and down. So you essentially have to look up if you want to put your arms up. This way of controlling your character’s arms is pretty cool but also very difficult as you have to look with the camera where you want your hands/arms to go. There is also a trick to climbing up with this system: you grab a ledge while looking up, after grabbing the ledge, you look down. This makes your character pull himself up. Your stick figure can also jump but not very high but if you jump with your hands up, you can pull yourself up and get to higher places. Sometimes you even have to take a running start with your arms up so you can grab on a ledge that isn’t reachable by just jumping. Ledges aren’t the only thing your stick person can grab onto. 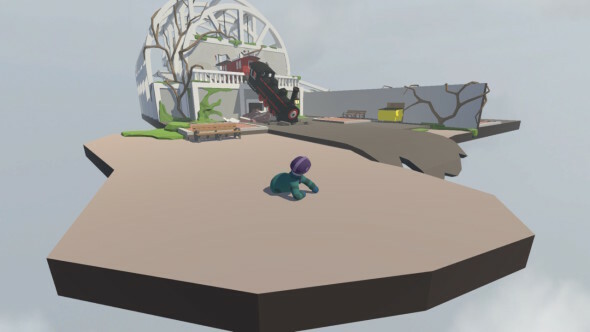 You can pretty much grab everything; the ground, yourself, random objects. This makes for interesting ways that you can solve puzzles as for example you can pick up a rock to break glass or a lock. Sometimes you even have to jump and grab objects to cross a river or hole in the ground. There are also buttons and levers you can press. This is quite difficult for the first few times as you have to aim for the button by looking at the correct angle with the camera. Pulling the lever can be easier unless you have the pull the lever in an awkward place like from a platform. There is often more than one way to solve a puzzle. You can even choose to fool around instead of continuing on your journey. Especially if you’re playing together with someone else it might be fun to just mess with the other person. Since you can grab the other person, it’s quite funny to throw them around or even just “hug” each other. Between levels, you fall down as you’re falling you can still control your arms. Putting your arms up while falling can make it look like your character is dancing. There are even more things that are quite funny especially because you can create your own story alone or with friends while playing. 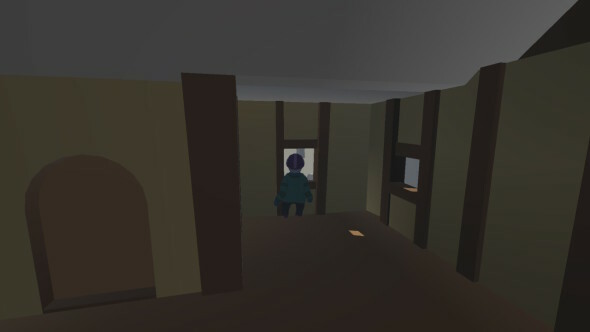 Playing alone is sometimes harder than playing together with friends as some puzzles require you to pull a lever while standing on a platform. If you’re playing with a friend he/she can just pull the lever for you but if you’re alone, you have to figure it out how to do it yourself. When a friend passes a checkpoint further in the level you respawn there after dying. If you’re alone, you have to replay most of the puzzle or Climb/jump back to where you fell from, because you respawn at the last checkpoint you passed. You have the option to customise your characters. There are different kind of outfits and hats you can choose from. Colours from the outfit can be changed from each piece of clothing separately. You can even choose to change the color of each stripe on a striped sweater. On the PC version, you can even draw on your character which makes you able to draw eyes. Sadly, on the Nintendo Switch version, this isn’t an option so your stick figure stays “faceless”. On the Nintendo Switch you can play co-op but not online like on the PC version which is quite regrettable. 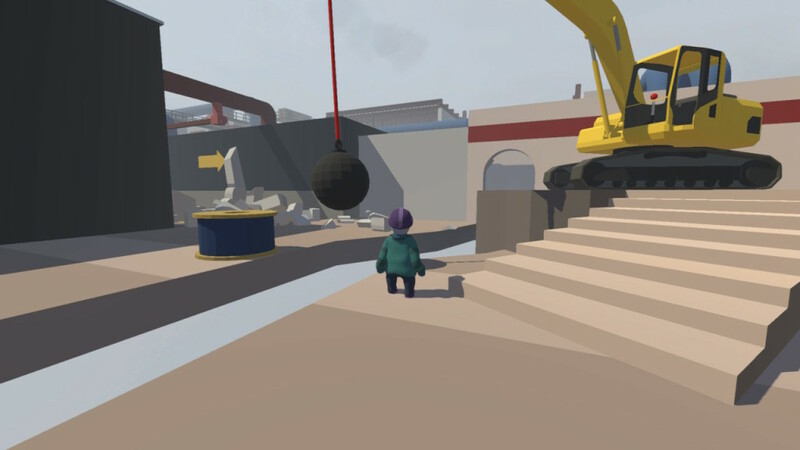 Human: Fall Flat is a lot of fun especially when you play with others. It’s quite fun as well to play alone even if it’s more challenging. Playing with friends can be a bit distracting to the game since it’s fun to just fool around in the game. So it might be fun to play through it once alone and then enjoy the game with friends. No matter how you play this title, it’s a great game to add to your game library. It’s also a great game for gatherings as it’s not only fun to play it’s also quite funny to watch! 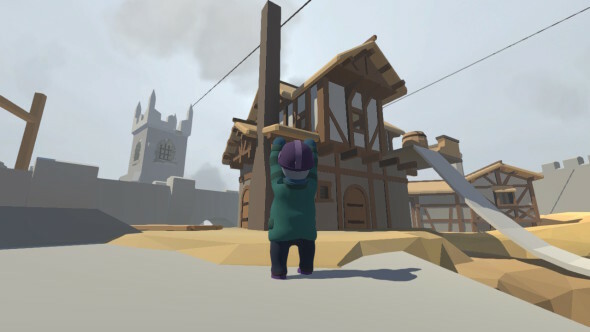 In short Human: Fall Flat is a great game for young and old and if you want something simple with a bit of a challenge, maybe give this game a try.